The Gulf Centre for Human Rights (GCHR) released its seventh annual report on human rights activism in 2018, entitled Breaking Boundaries. It remembers the women and men human rights defenders imprisoned for their work across the region, particularly in Bahrain, Iran, Iraq, Kuwait, Oman, Saudi Arabia, Syria, the United Arab Emirates and Yemen. In this 2018 report, GCHR recognises that despite increased restrictions on civic space and aggressive prosecution of human rights defenders, the boundaries crumbling since 2011 are worth celebrating. In the act of breaking these boundaries, solidarity networks nationally, regionally, and internationally have been nurtured and strengthened. With continued activism of journalists, human rights defenders and civil society, GCHR foresees that governments’ disrespect for human rights and freedoms in the region will be increasingly overturned. The main focus of the report is to shed light on human rights activism. While governments intensified their harassment and prosecution of journalists, human rights defenders, online activists, and civilians, through the advocacy efforts of civil society on different fronts, the defence of human rights in the region has been met with international recognition, including many international awards for human rights defenders from across the Gulf and neighbouring countries. The spotlight on governments, especially in the Gulf, unveiled the extent to which governments reject accountability to their people and commitment to human rights internationally. To mention a few examples: Bahrain denied the entry of United Nations experts along with extending travel bans on human rights defenders so they continue to miss UN Human Rights Council sessions. In Iraq, peaceful assembly was met with tear gas and live bullets to disperse the protests, leaving dozens killed and hundreds arrested. In Iran, well-known lawyers were among those sentenced to prison for defending women’s rights to reject forced hijab. And notoriously, Saudi Arabia arbitrarily arrested over 20 men and women who defend and advocate for women’s rights, even after the Kingdom formally lifted the driving ban on women. GCHR presented a number of recommendations at the end of this report to governments, and the international community. Emphasis is placed on guarantees of a legal framework grounded in respect for human rights, especially for the freedom of expression and opinion, to protect the safety of journalists, media workers and online activists whom governments across the region relentlessly harassed, targeted, or prosecuted. Other recommendations are made to ensure the safety of civilians such as in conflict-zones, as well as in countries in transition where respect for freedom of association and assembly are essential for peace and justice. To download the full report, follow the link. On 26 June 2015 the ISHR (International service for Human Rights) featured a portrait of Elsa Saade, a woman human rights defender who works for the Gulf Centre for Human Rights (GCHR), an independent, non-profit and non-governmental organisation that works to provide support and protection to human rights defenders in the Gulf region by promoting freedom of expression, association and peaceful assembly. Elsa, who has worked closely on the issue of women human rights defenders in the Gulf and neighboring countries, explained how women human rights defenders are at particular risk. E.g. she received a message from a women defender stating that she could no longer talk, that she was going underground. ‘They are threatening to kill me’, she said. ‘They will arrest me. I need to disappear.’ Elsa confirmed that she could not mention the defender’s name or where she is from as it would endanger her life, however highlighted how women not only face pressures from the government or non-state actors when she stands up for human rights, but even faces societal and cultural clashes which could be reflected inside her home. Elsa explained how States in the Gulf region are mostly patriarchal. The simplest example of patriarchy is the fact that women in Saudi Arabia cannot drive. Two women defenders in Saudi Arabia, Maysaa Al Amoudy and Lujain Al-Hathlol, who were caught driving as a statement to allow women to drive, were arrested and tried in the Specialized Criminal Court in Riyadh, which deals with cases of terrorism and State security. They currently await sentencing. At this point, Elsa further referred to cases of women Syrian refugees in Lebanon and how important their role in the house, family and society was. On that account she mentioned several challenges that humanitarian people who help Syrian refugees face. Having worked in the field she highlights that they are often at risk. Elsa is adamant, however, on the necessity of continuing her work to support human rights defenders. Elsa Saade: Human rights defender from the Gulf Centre for Human Rights | ISHR. It has become evidently clear that it is not possible to have a fair and independent trial in Bahraini courts as they stand. The judicial system in Bahrain is highly flawed, and is overrun with egregious human rights violations which usually start during the arrest, and continue throughout what is supposed to be a legal process. I was personally subjected to numerous human rights violations since the moment of arriving in Bahrain and until I was able to leave the country as can be read in my testimony here. There are medical reports about the injuries I sustained during the assault I was subjected to, for which I continue to need physiotherapy. My case was sped up, and quickly turned for sentencing with complete disregard to legal procedures. The presiding judge, Mohammed Ali Alkhalifa, in the case brought against me is a member of the ruling family, and has been himself, as well as members of his family, identified previously during my advocacy campaigns as implicated in human rights violations. This makes his presiding over the case a clear case of conflict of interest given the personal grievances he may have against me. This judge in particular, it is important to note, has been involved in the sentencing of numerous human rights defenders including Nabeel Rajab and Naji Fateel in unfair trials. During my imprisonment I met with the SIU, headed by Nawaf Hamza, to submit a complaint against the three policewomen and the first lieutenant who assaulted me at the airport. The prosecutor, Mohammed Al-Hazaa, rewrote my statement in his own words, attempting to implicate me in violations, and refused to correct what he had misquoted. This resulted in my refusal to sign the papers and filing of a complaint against the prosecutor. One day before the sentencing, namely on the 30th of November 2014, and due to almost daily follow up by my lawyer, the public prosecution notified him that the complaint case had been revoked. Despite my complaint about the assault since the beginning of my arrest, it was only one day before the sentencing that my lawyer was finally able to get a statement from the public prosecution that my complaint case had been revoked, at a time when the trumped up assault charges against myself were speedily processed and turned for sentencing. During the interrogation I was subjected to, I was refused access to my lawyer by the prosecutor dealing with my case. During my imprisonment my lawyer was not given any visits, nor was the Danish embassy. The way that the public prosecution deals with politically motivated cases is it uses all aspects of the government to provide impunity for the perpetrators of violations. Based on the reasons stated above, I find any and all cooperation with the court or attendance of the hearings by myself as a problematic legitimisation of an unfair and biased court. Therefore I have decided to boycott the hearings, and have asked my lawyer to do the same. It is important to note here, if I, as a human rights defender, whose case receives international media and diplomatic attention is handled in this way; it is gravely concerning how cases not receiving attention are handled by the authorities in Bahrain. Maryam Al-Khawaja: Why I am boycotting my date with Bahraini justice – Index on Censorship | Index on Censorship. AFP reports from Dubai that Bahraini human rights defender Maryam al-Khawaja is to stand trial from October 1 charged with assaulting a police officer. 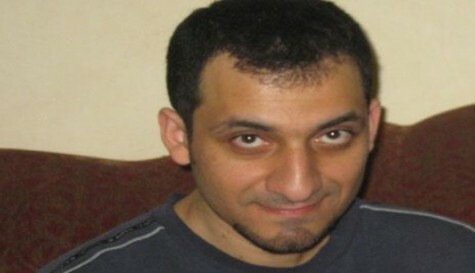 Her lawyer Mohammed al-Jishi told AFP the prosecutor general had also decided to extend her custody pending the trial. A conviction could carry a five-year prison sentence, he said. 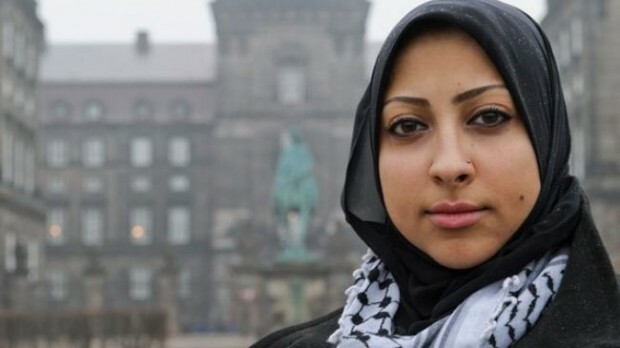 Khawaja, a director of the Gulf Centre for Human Rights who also has Danish nationality, was arrested after arriving at Manama airport on August 30.
via Bahrain sets October 1 trial date for key activist – Yahoo News. According to AhlulBayt News Agency prominent human rights defender Nabeel Rajab has been released in Bahrain today, 24 May 2014. The Bahrain Centre for Human Rights (BCHR) and the Gulf Centre for Human Rights (GCHR) welcome back their – respectively – President of the BCHR and General Secretary of the GCHR, free after a detention that lasted approximately two years. 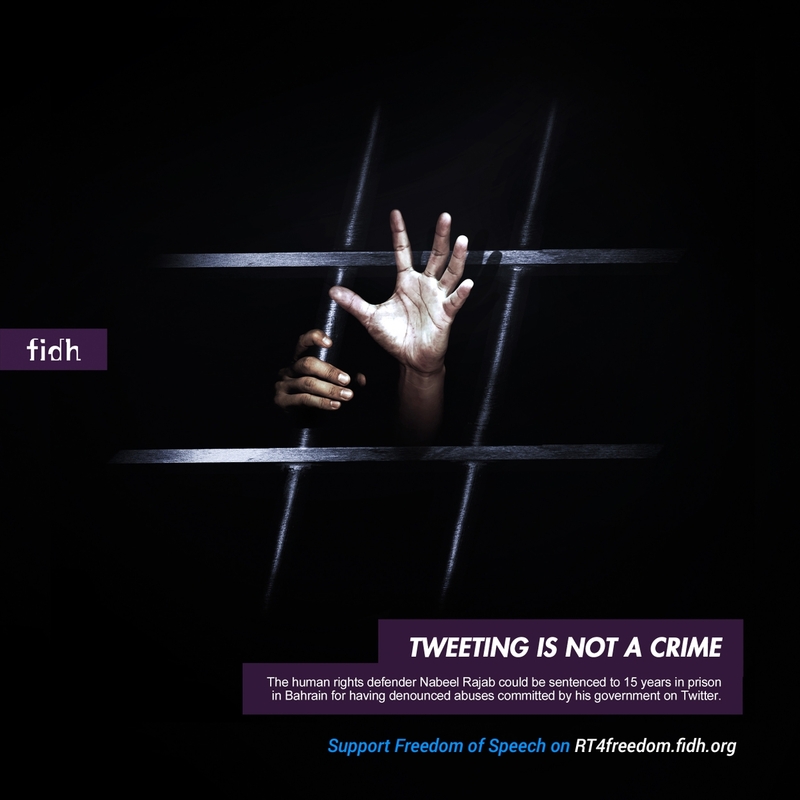 The two organisations warn that thousands of others continue to be imprisoned including BCHR and GCHR founder Abdulhadi Al-Khawaja and Naji Fateel. It is to be noted that Nabeel Rajab is being released because he served the full length of his arbitrary detention sentence. Nabeel Rajab was initially sentenced on 16 August 2012, to three years in prison for advocating peaceful demonstrations to defend the civil and human rights of all the citizens in the country. On 11 December 2012, the Court of Appeal reduced the sentences to two years in prison. During his detention, he faced dire conditions and was subjected to ill-treatment and torture. The United Nations Working Group on Arbitrary Detention (WGAD) found that Nabeel’s detention was arbitrary as it resulted from the exercise of his universally recognized human rights. Despite this decision by the WGAD, all requests submitted to the authorities for an early release were summarily rejected. 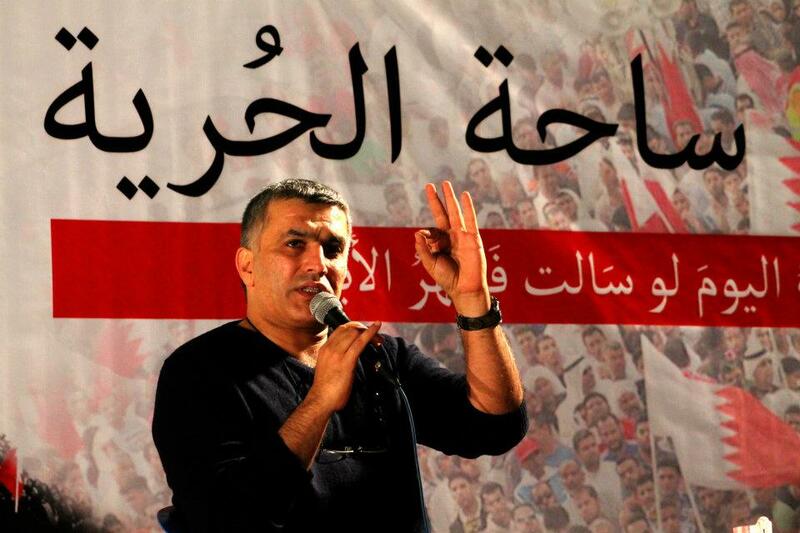 Bahrain prominent human rights defender Nabeel Rajab to be released after two years – AhlulBayt News Agency – ABNA – Shia News. While the appeal of human right defender Naji Fateel in Bahrain is due to start tomorrow, 18 November, a group of five human rights NGOs regrets the lack of cooperation by Bahraini authorities to allow access to the country for a trial observation mission. The Arabic Network for Human Rights Information, the Cairo Institute for Human Rights Studies, Front Line Defenders, the Gulf Center for Human Rights, and the Observatory for the Protection of Human Rights Defenders (a joint programme of the International Federation for Human Rights – and the World Organisation Against Torture), had mandated – with support from IFEX – a lawyer to observe the trial, but their request remains unanswered. via Bahrain: Lawyer mandated by international human rights NGOs denied entry to Bahrain to observe the trial of human rights defender Naji Fateel / November 15, 2013 / Urgent Interventions / Human rights defenders / OMCT.